This is the oldest vehicle we’ve ever featured here on this site (sorry, Roper Steam Motorcycle). That means an older vehicle has not come up for public sale since this site began over five years ago. Karl Benz is more or less universally considered the inventor of the automobile and he was the first to put them into production and sell them to customers – in 1888. 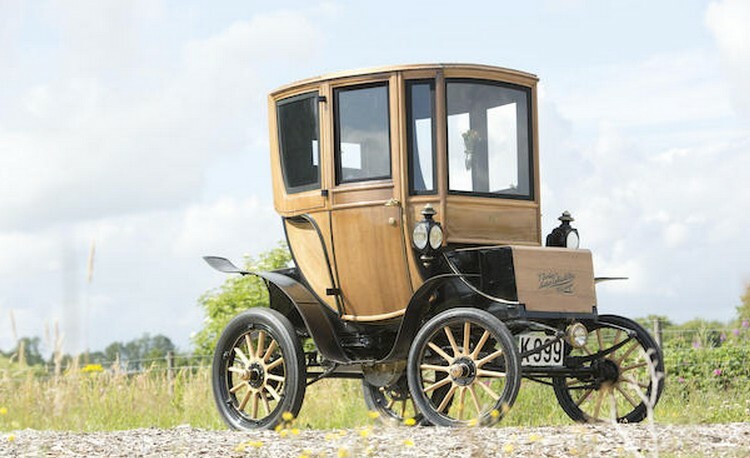 Karl’s first four-wheeled automobile was called the Victoria and it was available from 1892 through either 1898 or 1900. It’s truly a horseless carriage. The engine is a 1.7-liter, three horsepower horizontal single-cylinder that probably revs at such a slow speed that you just might be able to count each cylinder movement. It’s rear-engined, too… so it’s sort of like a supercar, no? It could do 11 mph providing the road wasn’t on an incline. Benz automobiles were only sold between 1888 and 1926 and never in large numbers. 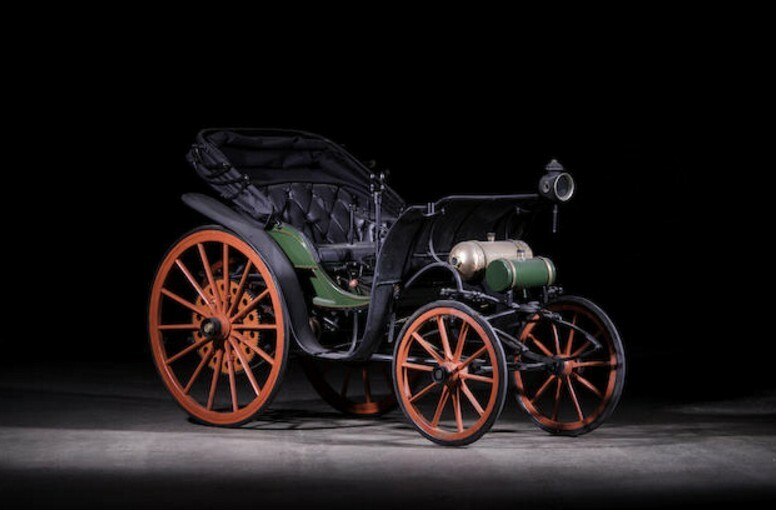 For instance, in 1899 they only built 572 cars – which technically qualified them as the largest automaker in the world at the time. Sure, Mercedes-Benz still exists, but Benz-only automobiles are much harder to come by. Anything pre-1900 is interesting. Anything pre-1895 is just downright fascinating. 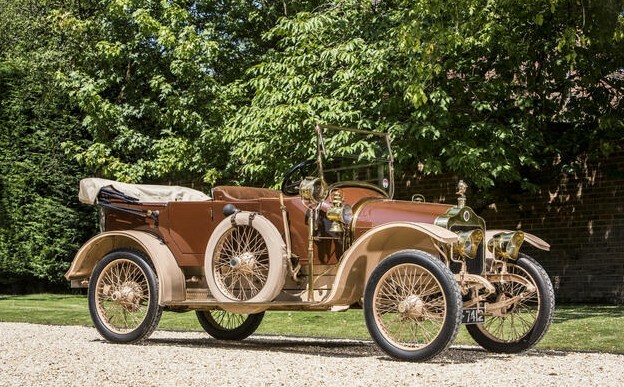 This car has no known history but it is thought to have been restored at some point. It should bring between $21,000-$32,000. Click here for more info and here for more from this sale. Frederick Hart was born in England but he and his family moved to Poughkeepsie, New York, in the 1880s. He worked for a farming machinery company and built his own lab at his home to experiment with steam engines. He built his first steam vehicle in 1895 (a tricycle) and built a four-wheeled vehicle, this car, shortly after. 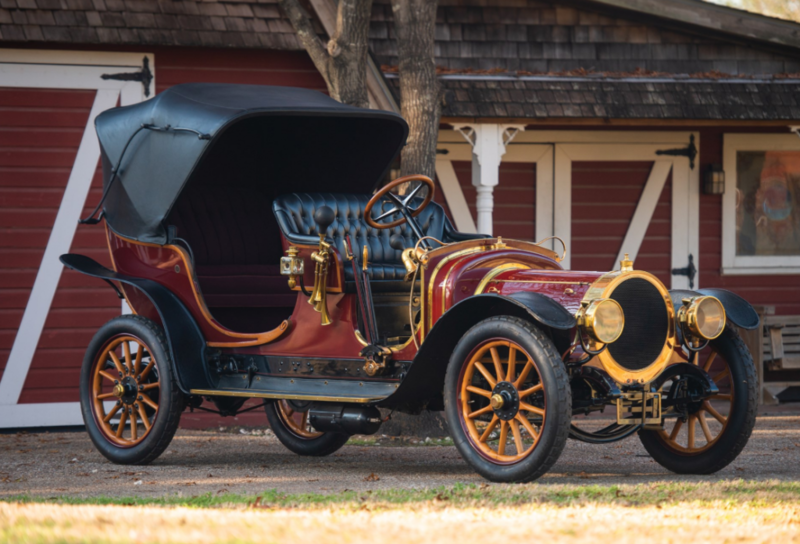 Bonhams lists this as a “circa 1897” and I’ve seen it listed elsewhere as a 1903/1904. It is powered by a twin-cylinder vertical engine that is driven by steam. This photo needs someone standing in it for scale: this car is huge at nearly six feet tall and riding on 46 inch tires! Hart’s family owned this car until 1946 when they donated it to a museum. The museum was shuttered in 1990 and the car went to the U.K. where it was taken apart. The next owner acquired it in 2002 and restored the car to the condition you see here in 2004. It has only been started once since 2004, when there was a small issue and no one has tried again. The paint on this is original, but most everything else has been restored and the car has only covered 200 miles in its life. It’s a one-of-one car and one of two vehicles produced by Hart Steam. It should sell for between $77,000-$100,000. Click here for more info and here for more from this sale. Minerva built very nice luxury automobiles between 1902 and 1938, with production of other vehicles picking up after the war and continuing until 1956. 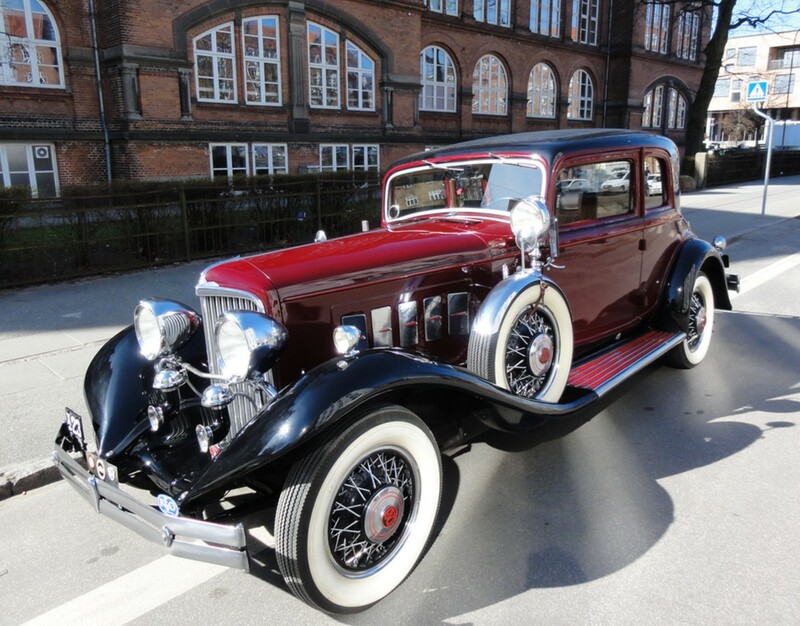 Their cars of the 1930s are right up there with Packards and Rolls-Royces and the like, except they were from Belgium. In fact, the Minerva dealer in London in the early years was Charles Rolls (who would become half of Rolls-Royce). Minerva offered a range of vehicles in 1913. The Type DD uses a 2.1-liter straight-four making 14 horsepower. 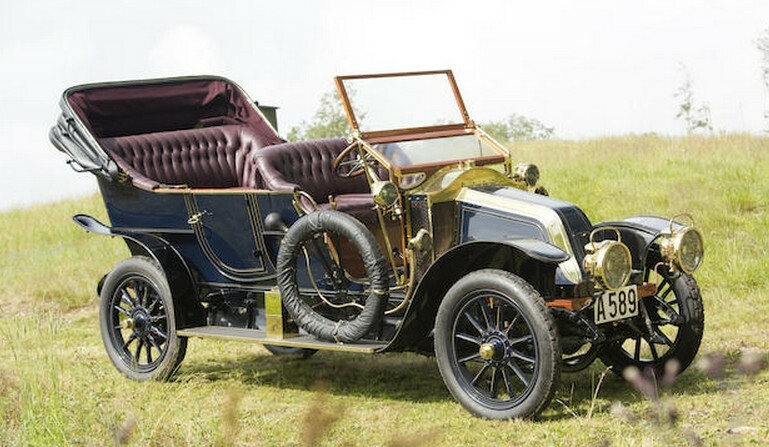 Minerva cars from 1910 used Knight sleeve-valve engines, this car included. The body is said to be by Cann & Company of London as it wears that company’s tag on the body. But the history of this car says it was discovered in Australia in 1962 and taken to California. The Australians said the body was local and the rear half of the body had been removed and replaced with a pickup-like rear end. A Minerva Ute. But it has been restored to what it should have looked like in 1913. 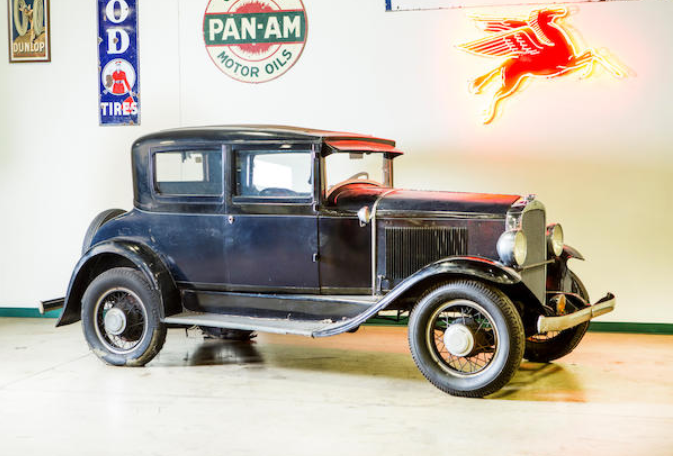 It is road-ready and should sell for between $67,000-$100,000. 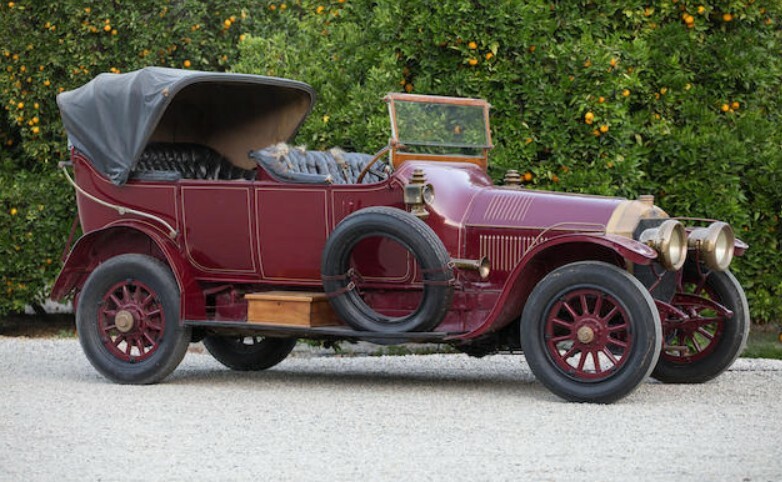 Click here for more info and here for the rest of Bonhams’ auction lineup. I think this is a very good-looking car. Cadillac has long touted that they are the “Standard of the World” and it’s early cars like this that make you believe it. Yes, they produced cars with twice as many cylinders, but this was one of the first big-engined road cars you could buy. 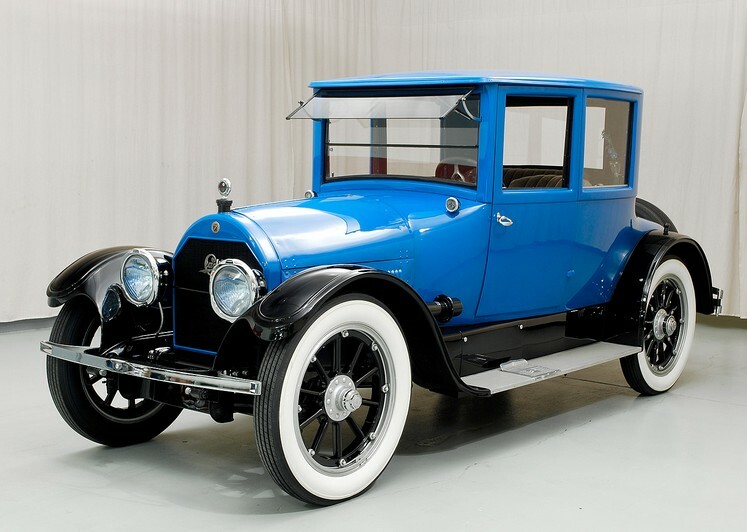 Cadillac’s L-Head V-8 engine was introduced in 1914 and became the first mass-produced V-8 engine in Cadillac’s 1915 models. It featured 5.2-liters of capacity and made 70 horsepower. 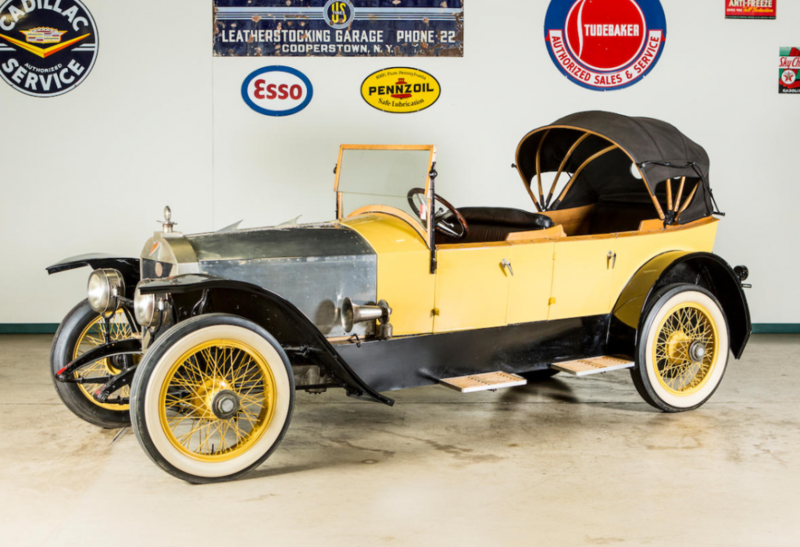 The Type 51 was the first model to carry this motor and it evolved over the years, with the Type 61 ending the model’s run in 1923. The Type 57 was available in the late Teens and this Victoria Coupe was an attractive, if not restrained design that offered a lot of power for those who wanted luxury without all the flash. I’m estimating that this car sells for between $40,000-$50,000. Click here for more from Mecum and here for more on this car.